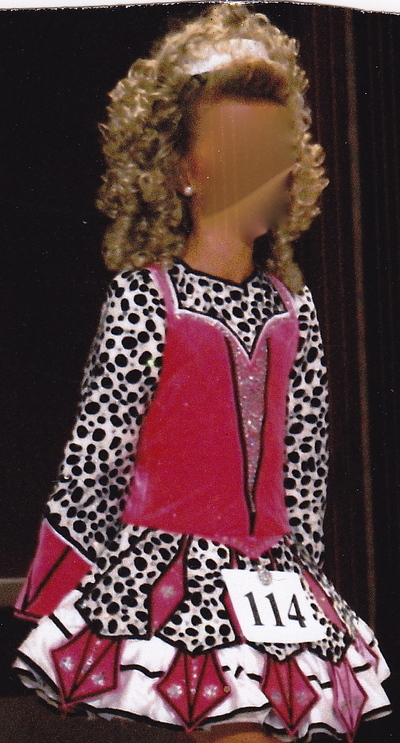 This dress is perfect for a young dancer entering Novice or even competing at her first Oireachtas! This dress has been well kept in a smoke free home. Shows very well on stage with AB Swaroski crystals. Headband is included. There is froom for let out and down. Asking Price: $US200 OBO. Shipping costs are included for my own country, overseas shipping is extra. Sale is final.